The Russian company from Moscow develops and manufactures various grooming supplies such as shampoo, spray conditioner, medical balsams for dogs, cats, horses, rodents, birds. The company is looking for partners to conclude a distribution services agreement. The Russian company from Moscow was established in 1993 and is engaged in the development and production of various animal preparations, including cosmetics and medicals. In 2012, the company received a European GMP certificate (good manufacturing practicecommision). 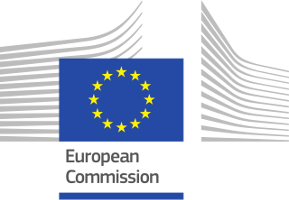 This document opened access to the market for veterinary drugs of any country in the European Union, as well as to the markets of many other countries that trust European quality standards (USA, Taiwan, Japan, etc.). Today, the company exports the products to 18 countries. The range of exported products includes more than 295 products. In 2017, the number of patents were reached 58 pieces. Production workshops are equipped with the latest pharmaceutical equipment from Fette, BOSH, Glatt, Norden, Kilian and others. The company offers hypoallergenic shampoos, conditioners and balms for pets of different breeds and with different hair and skin sensitivity. The products are produced in several versions, for economy and premium sectors with flavors Jamaican banana, wild raspberry, juicy grapefruit, honey pear. All raw materials for the production of cosmetics purchased in Europe. The company is ready to produce any volume of products. The Russian company is looking for a network of pet stores, pharmacies for animals, supermarkets, shelters for animals to conclude the distribution services agreement. Within the framework of the distribution services agreement, foreign partners should arrange sales of products through their networks. The terms of delivery will be discussed after the first contact with the potencial partner. Type: SMEs, large companies Role: purchase and distribute the Russian product on the foreign markets. More than 50 patents in EC Countries.